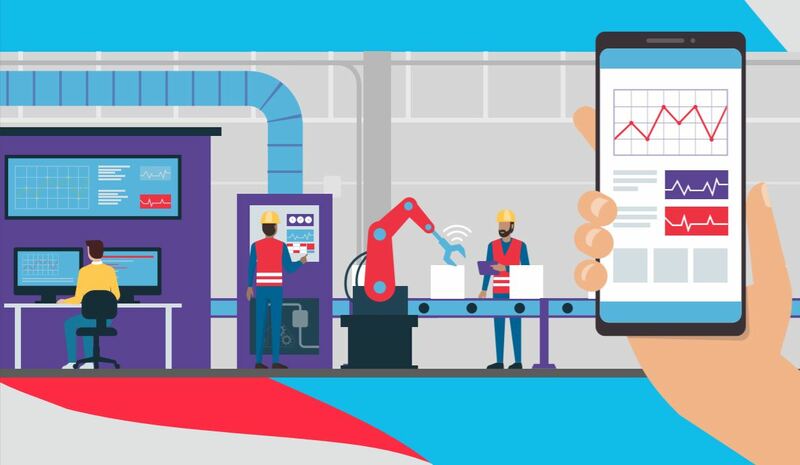 The primary objective of Industrial IoT (IIoT) is the convergence of machines, data generated by them, computing, analytics, and driving insightful actions to optimize operations at an industrial plant or similar ecosystem. Today, the primary focus of IIoT has been to grab all the data available from the devices and dump them in the cloud and then run analytics on it to provide a better insight of the ecosystem and in certain use cases like home automation to control the devices via mobile apps or voice command devices (VCD). However, in the next few years, the enterprise world will see an extreme surge in the adoption and penetration of IoT-driven business. 30% of enterprises use IoT products today while 65% are expected to use it by 2020. 30% of the overall IoT market ($300B/year) will be IIoT ($85B/year). With this kind of explosive growth, those enterprises that focus on scaling will have to take a hard look at their digital transformation program to ensure that IoT and data from devices constitute an integral part of the transformation strategy. The retail industry is leading the IoT revolution while other industries, such as logistics, transportation, and automotive are catching up, not too far behind. What are the key challenges faced by enterprises during business process digitization? Massive data lakes with terabytes or petabytes of data, not enough insights driving decisions. Enterprises can address many of these challenges by exploring the opportunities offered by IIoT and the data emitting from the devices and the dynamic (next-best-action) decision that a business application can take based on real-time data coming from the devices. Sometimes, the action is to invoke robotic process automation and take appropriate actions that leverage the data coming out of the devices and, in certain cases, support the actions taken on devices. Business applications, such as artificial intelligence, machine learning, and blockchain, can leverage various complimenting technologies to create a connected, optimized, smart, and self-sufficient ecosystem. What are the key opportunities with IIoT? The next digital transformation programs for enterprises can explore these opportunities as they connect the things (devices) through the network to the cloud (internet). However, there is increased focus on edge computing, which involves pushing the compute to the edge of the network at the switch or the gateway only to capture the data required by business applications and reduce the stress on bandwidth and storage. This will support the scaling of the ecosystem. Another key use case is managing risk for both humans and resources by real-time monitoring, tracking, and proactively managing risk based on continuous data gathering, learning, and comparing against benchmarks and pre-defined rules and compliances/standard operating procedures. Self-sustained operations – machine learning-based robotic process automation of machines. Leveraging these use cases and connecting to enterprise business applications will drive the true value of digital transformation and cloud enablement or transformation of the business applications. This is key for seamless integration of the IT and OT groups and cohesively focus on business outcomes to maximize the ROI on the investment made on digital transformation by enterprises. To know how to unlock the business value of IoT in operations download our whitepaper here.